Are you tired of pitching to one prospect after another? Do you wish you had a writing business where clients pour in without having to do much? Well, I’ve been lucky in this case because after switching to freelance writing for a living, I’ve never had to pitch my services to prospects. My hire me page does pretty well in funneling organic clients. My freelancer hire me page does pretty well in funneling organic clients. Using search engine optimization, better known as SEO. Having SEO tactics in your WordPress blogs can get you better rankings in the search engine results pages (SERPs). 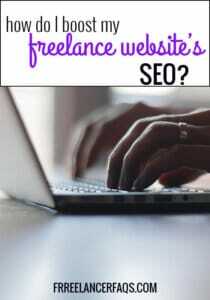 Once you know key strategies to boost your freelance website’s SEO you can offer this service for your client’s blog if you offer blog management services. For first time users, WordPress offers many options to get your site search engine optimized. Unlike other free CMS like BlogSpot blogs, you can choose how your homepage looks and what permalink structure you prefer. If you have any problems setting up your blog, here’s a post on how to create a writer’s website for free. The default WordPress permalink structure is ‘?p=[id]‘ . The drawback of this URL type is it gives you no option to include text in your permalink. So, you can’t have keywords placed and it will be very difficult to recognize a post with this URL. To customize your permalink structue, go to permalink options under the settings tab in your dashboard. You will get 6 options of permalinks out of which I recommend the structure /%postname%/ which is clutter free or the post name. A blog, in the eyes of Google, is different based on what it has (http://www.blog.com or http://blog.com) in its URL structure. You wouldn’t want your blog to be penalized for duplicate content, right? So, specify if you want your blog to have www in its URL or not. Using both of them can definitely create duplicate content. According to search engines, both are two different URL structure and hence two different sites. You can change it under general tab, in the settings menu of your dashboard. A sitemap helps search engines to crawl better. They understand how your site is structured and when new posts are published they get automatically mapped through sitemaps. If you use the free Yoast SEO plugin, you can do it quickly. Just go to xml sitemap option under the SEO menu. Yoast SEO by defaults adds images in your posts to the xml sitemap thereby ensuring they rank better for image search. If a single author runs your blog, the author archive page will look exactly like your blog page. This is not a problem; the problem is it will create duplicate content. For the search bots, both articles on your blog page and archive page will have different URLs but same content. So, you can use the Yoast SEO plugin to disable author archives. Sometimes a plugin like JetPack can eat up a lot of your resources. If you’re using JetPack for only social shares or checking page views, switch to other light alternatives like Sumome . Similarly, remove plugins that aren’t useful anymore. Your freelancer site should load quickly because most potential clients won’t wait for more. The main function of any caching plugin is to decrease site-loading time. Installing a caching plugin is one of the most basic steps after WordPress installation. Caching plugins work by caching or saving static and dynamic content of your website and thus delivering whenever a visitors loads a page. This also lightens the load on your hosting server. A good one to use is W3Total cache. When starting a new WordPress site, we usually take hosting casually. But, playing cheap doesn’t always mean playing safe. WordPress hosting can seriously affect your WordPress site SEO. So, it’s better to invest in something that won’t risk your search engine rankings. When choosing a hosting service for your site, be very careful to analyze their uptime limit, bandwidth and customer service. For starters, Bluehost or Hostgator are great beginner options. A theme plays a very important role in your site’s ranking and visitor count. I recommend themes by Elegant themes. Many awesome freelance writers use them. You can read my unbiased review of Elegant themes here. These themes are designed to make your site more fast loading, search engine friendly and conversion optimized. WordPress image optimization is a very important aspect of SEO. Images with proper alt tags and captions not only help reader experience, but also help to rank your site in image search query. 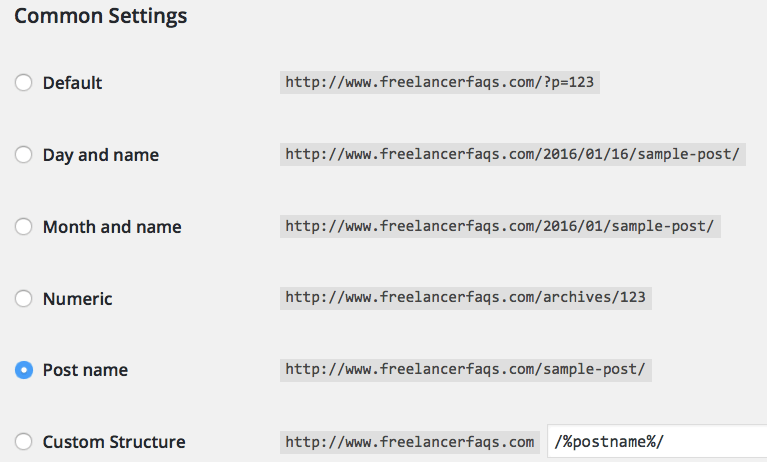 It’s a good practice to add secondary keywords to your image alt tags. Most WordPress users either forget this step or do not optimize it properly. Your site title becomes your branded keyword and hence you must include it in your SEO strategy. By default, WordPress sites have a title like “just another WordPress site”. This is very detrimental for your site SEO and professionalism. So change it to something that your website talks about. Customize it in the general tab under the settings menu. No matter how hard you check the links while writing a post, broken links accumulate on your site with the passage of time. These broken links not only degrade user experience, but also create a bad impression on search engines. Use the plugin broken link checker to detect broken links, and change them to nofollow (for better SEO) in case you are unavailable to fix them. Conduct regular tests using this plugin to avoid any search engine wrath. Social media proof not only builds a good impression on your readers, but also has a good effect on SEO. Having a good number of people sharing your posts and following you via your social accounts gives your site extra mileage. It also helps you to convert your one-time readers into returning readers. To boost your social signals, add social share buttons to your profile. Also, include your social media profile URLs on every page so that readers can follow you. One of the best ways to boost organic rankings – and your biz – is to write in the niche your target clients are in. If you are freelance writing in the startup niche, write about project management and productivity tips. If you want marketing blogs, write on marketing. Your potential client will be searching these topics on Google. When you rank for these topics, you make it easier for them to discover you. SEO is very important for getting clients from organic rankings. Writers like Kristi Hines are already ranking for any generic freelance writer keyword. I would suggest you not to ignore this important source of getting writing gigs. What steps you follow for a search engine optimized writer’s site? I’m interested in fixing my broken links and will explore some plugins for that! Thanks for getting the post approved. I think we can get quite a few awesome clients from search engines too. It’s not necessary for the established writers like yourself but it’s good to do. I have a plugin mentioned for that on the post. I was curious what plugin you use to notify the guest posters about comments on their guest post? Fine post on SEO, Swadhin. I want to share a tip on SEO I stumbled upon. I’m not sure about this but I heard that having a video on blog posts doubles your chance to rank higher. Is this true? That is unfortunately not true. Videos, however, increase the chances of user engagement on your site and also time spent by readers on your site. These are ranking signals but not as powerful to rank a whole post on that basis. Great tips here! A lot of my contacts come to me from search engines, too. I haven’t thought of disabling my author page, so I’ll have to look into that. Thanks for the in-depth post! Thanks for your comment. I am so happy to see ya here. Yes try that! Thank you for your help in this, Swadhin! I know my website’s SEO isn’t where it needs to be so I know now how to go in and fix that. I can’t attract ideal clients if my website doesn’t show up in the results! I’m a bit late to this post, but it was huge heaps of help all over. Seriously great stuff. I just am beginning to set up my website and will keep all of these in mind. Thanks for this, Swadhin.